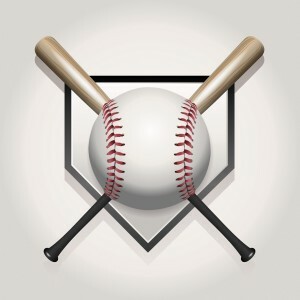 If you’re a baseball fan, you know Major League Baseball (MLB) struck out with the voting for this year’s All-Star game. For years, fans across the country punched little holes out of paper ballots while out at their local ballpark. This year, MLB turned the vote into an online poll to disastrous results. Anyone could vote as many times as they wanted for this year’s All-Stars. Fans of the Kansas City Royals took to the Internet in droves. Near the end of the voting period, out of nine starting players representing the American League, eight were going to be Kansas City Royals players. Eventually, the online voting evened out a bit, but it was still very heavy on Royals blue. Not only were several excellent ballplayers left out of the final lineup, a good portion of the country was left unrepresented by their local team’s players. What can you learn from this online voting disaster? First, the MLB’s mishap was an online poll rather than an online election. But there are insights to be gained for your own election when you’re ready to take it online. Online elections run by reputable third party election providers are not typically run the same way as the MLB online voting poll. If your election partner suggests you try an official online election in that manner, run the other way. Without the right secure voting platform, you could see a similar result to the MLB All-Star game. Accept only election websites hosted in a secure server environment with unique member logins and passwords, online votes transmitted using TLS encryption technology and passive and active network monitoring services to prevent unauthorized access. In the case of the All-Star “vote,” not only were fans allowed to cast their ballots multiple times, Major League Baseball actually encouraged it. Using one-time-only unique voter logins and passwords prevents this kind of situation by immediately disabling the information once a ballot is cast. IP addresses of voters should also be tracked to ensure all votes cast are legitimate. Online elections are becoming the norm for organizations and members now expect the convenience online voting affords. It’s also a great way to increase voter participation in your election. When done properly and in partnership with the right election provider, online voting is also safe, secure and specifically designed to prevent your slate from looking like the MLB All-Star lineup. Have questions about online elections and how to keep them secure? Contact us any time, we’re here to help.